It's not the first time we've heard this rumor, but the time may be right for heart rate, blood pressure sensors. 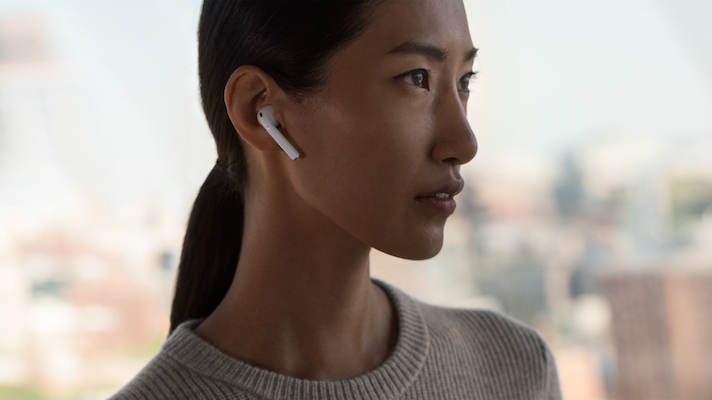 Digitimes, a supply side electronics publication with a mixed track record on Apple rumors, is reporting that Apple plans to launch next-generation AirPods in 2019 which will include health monitoring features. Giving credence to the rumor is an older report from November that Apple had updated certain trademarks pertaining to the AirPods to include health sensors. The rumor doesn't include specifics on the features. Theoretically, both heart rate and blood pressure could be monitored from the ear. In fact, Valencell, which just recently settled a drawn-out lawsuit with Apple, has been working on both, with earbud-based heart rate sensors available since at least 2014 and ear-based blood pressure sensors just announced at CES. Apple isn't holding back these days when it comes to health tech. Not only did the company release its first FDA-cleared hardware product last year, but earlier this month CEO Tim Cook told Mad Money's Jim Cramer that health was exceptionally important to the company. "We are taking what has been with the institution and empowering the individual to manage their health," Cook said. "And we're just at the front end of this. But I do think, looking back, in the future, you will answer that question, Apple's most-important contribution to mankind has been in health." If the sensors are actually coming and are related to blood pressure and not just heart rate, that would be especially significant since Apple's suite of wearables can't currently track blood pressure. A recently FDA-cleared wearable from Omron, however, can, which might suggest that the race is on. No, that's not deja vu you're feeling. We've been here before. In fact, in January 2017 MobiHealthNews predicted that Apple's forthcoming FDA-cleared cardiac device would be AirPod related. That feature turned out to be the Apple Watch ECG sensor, but the prediction was based on a bevy of evidence including a 2014 Apple patent, an old rumor from defunct Valley gossip app Secret, and the aforementioned Valencell lawsuit. The timing of this rumor with the settlement of that suit — which went down in September 2018 — certainly makes a partnership between the two a possibility. Apple often makes a product announcement in March, so that's the earliest we should expect to see this. The company's WWDC event in June is another possibility.